I loved this chair since I first seen it and had to have it for my daughter she is 4 months and loves to sit here and watch cartoons as she is too young for foods yet. I love the fact you don't have to build it either it comes assembled all you do it put the tray on. Mealtime will be your family's favorite time of day thanks to the KidsEmbrace DC Comics Batman Adjustable Folding High Chair! Tbook.com crawls the web to find the best prices and availability on High Chairs and related Baby Items products like KidsEmbrace Adjustable Folding High Chair, DC Comics Batman. For this page, related items include products we find that match the following keywords: "High Chair" at our vendor partner Walmart. 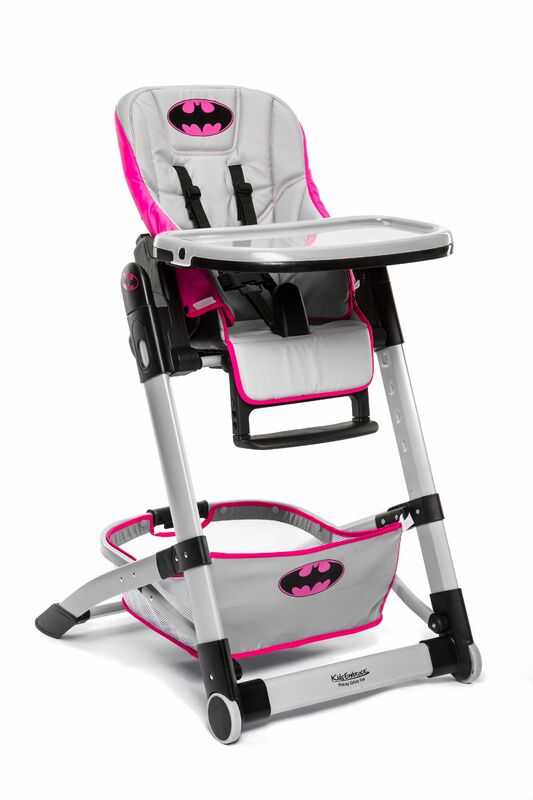 KidsEmbrace Adjustable Folding High Chair, DC Comics Batman is one of 136 High Chairs and related products listed in the Baby Items section of Tbook.com If you have any questions on this product, please give us a call at 734-971-1210 during the hours of 9am - 5pm EST for assistance. Thank you for shopping at Tbook.com, the Internet Department Store!